There had to be something beyond religion in Israel, that would make any trip to the country worthy. 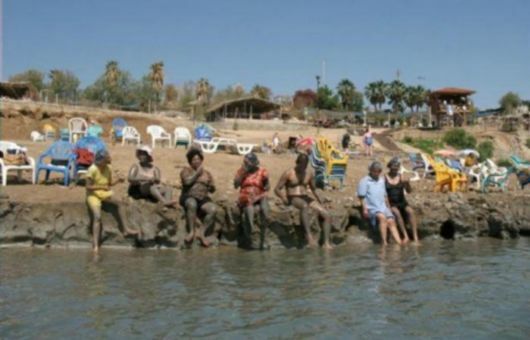 Israel is revered for its sacredness by Christians, Muslims, Jews and Armenians but no trip to Israel is complete without getting soaked in the Dead Sea, the world?s saltiest lake. It?s an experience in itself and a haven for non-swimmers, who can battle the deep without any fear. The Dead Sea is nestled between the deserts of Israel, the West Bank of Palestine’s territories on the west, and the Jordanian desert to the east. This majestic lake is one of nature?s remarkable wonders. It is here that you experience the incredible feeling of not only floating on water, but also walking on the Earth’s lowest elevation on land – approximately 1400 ft or 430 m below sea level! The Dead Sea is christened so because of its high salinity that doesn’t allow aquatic life to flourish. Even the fish flowing into it from the Jordan river die because of this. There are no outlet streams and the water can only evaporate. So that?s millions of years of salt properties in there for you. What strikes you the most when you arrive at this hyper-saline lake is the convergence of colors ? the clear blue sky, the serene bluer sea, dense pink bougainvillea plants and earthy browns. It also makes you a little introspective – you wonder about your own life when you see plants blooming against all odds alongside the highly saline lake. From a distance, the salt lake looks like it?s dotted with buoyant bodies. As you walk towards the shore and closer to the lake, you suddenly feel so lucky to be able to experience this world wonder. As the salt lake fills you up, you realise the greasiness of the water. Deeper into the lake, you realise you have neither fear of drowning nor any fear of a fish or snake biting your leg. The Dead Sea actually frees you of all your fears as you soak into it. No wonder it?s known for its rejuvenating qualities! Sooner than you think, you will start feeling a tingling sensation in your body and eyes, but don?t worry it?s just the salt properties doing its trick. Do not float face down or try to splash water on your friends and family, unless you want to end the trip real quickly. Have fun bobbing in and out, just like a child and enjoy the experience of floating- after all that?s the reason you have travelled so far. Do stick your feet and hands in the air and see how you still float. Its almost magical- especially for the non-swimmers. When you are more than soaked and you glance towards the shore, it?ll be dotted with people taking a sunbath covered with a thick layer of the medicinal black shore mud, after all it?s free. 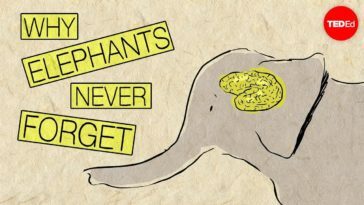 You may feel left out and that might propel you to dot the shore along with them. No hassles there, but remember once the mud is dried up don?t wash your face in the sea as that will surely burn your eyes. It?s for this purpose that showers are available on the beach. You will need multiple showers to get that salt out of your skin. After the mud and salt is out, you?ll see you haven?t tanned a bit but instead you will find a subtle glow. While the lake may not breed life, it gives livelihood to a million people. Right from the ancient world of mummification to the modern world of business, the sea is known for its marketable qualities. Today, potassium, bromide and magnesium, three precious metals found in the sea, are marketed across the world. In ancient times, asphalt was used for mummification and potash as a fertiliser. Besides this, the shore mud is known for its healing and rejuvenating qualities. It’s almost as if the Dead Sea was created as a health resort! Due to its strategic placement and high salinity, it is known to cure Psoriasis. Being the lower point on earth, it gives psoriasis patients the chance to sunbathe without being affected by UV rays. Even Queen Cleopatra is said to have used the mud to preserve her beauty! The Dead Sea is not in the heart of any flourishing city. 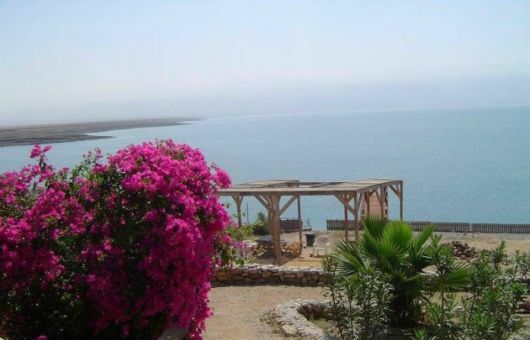 If you are on the Israel side of the Dead Sea, it?s approximately 45 km from Jerusalem or 110 km from Tel Aviv Airport. You will need your own transport to get there. Renting a car is your best option. Relying on public transport can be difficult, although there are local buses that stop at touristy spots near the shores of the Dead Sea like Southern Basin Shores (hotel area), Masada National Park (Northern Basin) and Qumran (Northern Basin). The buses are available from Tel Aviv Arlozorov Bus Terminal or Jerusalem Central Bus Station, direct to the Dead Sea. Since the Dead Sea lies in the desert region, it?s relatively hot during the day and cooler at night. Summers (April- October)are long, hot and dry, with the sun looming up to 8 pm on some days. 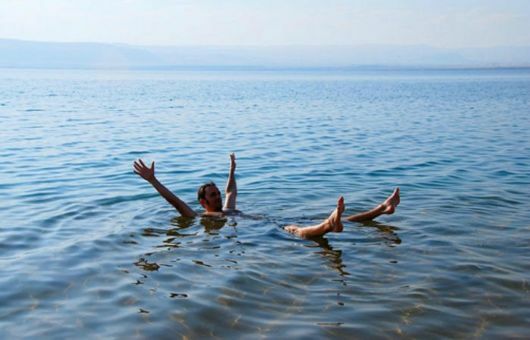 Winters (November-March) are cooler and probably a better time to visit the Dead Sea. 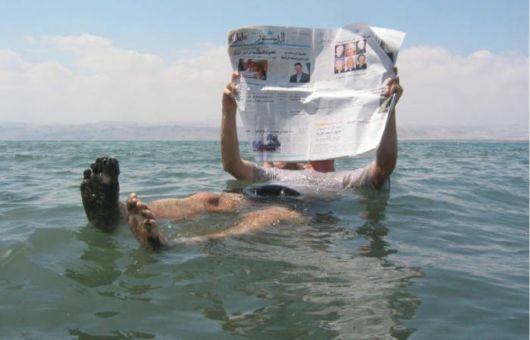 Do remember to click a picture with a book or newspaper while you float in the Dead Sea – that?s an absolute classic! Meanwhile, make sure you wear some type of footwear to protect your feet as the salt can be prickly on your feet. Else the Dead Sea takes the phrase ‘rub salt on one’s wounds’ to a whole new level!